Finish Sample sets are available for purchase. 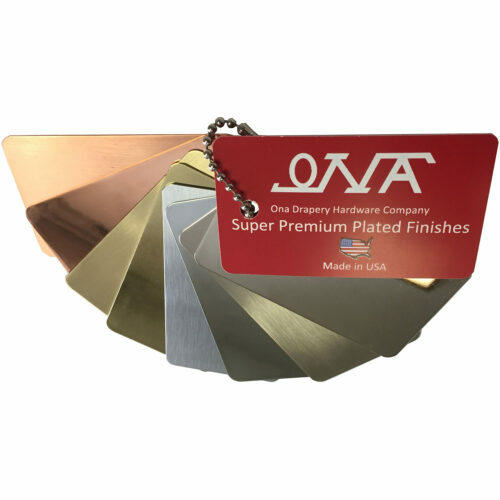 We will send up to three individual finish samples at no charge upon request. 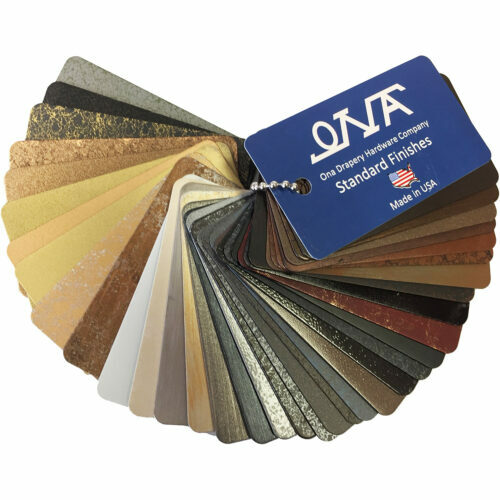 Additional individual finish samples may be subject to charge. Upon request, we will send one random-length rod cutting (up to 10″, in a color of our choice) at no charge. Finish Sample sets are available for purchase. Additional rod cuttings may be subject to charge. 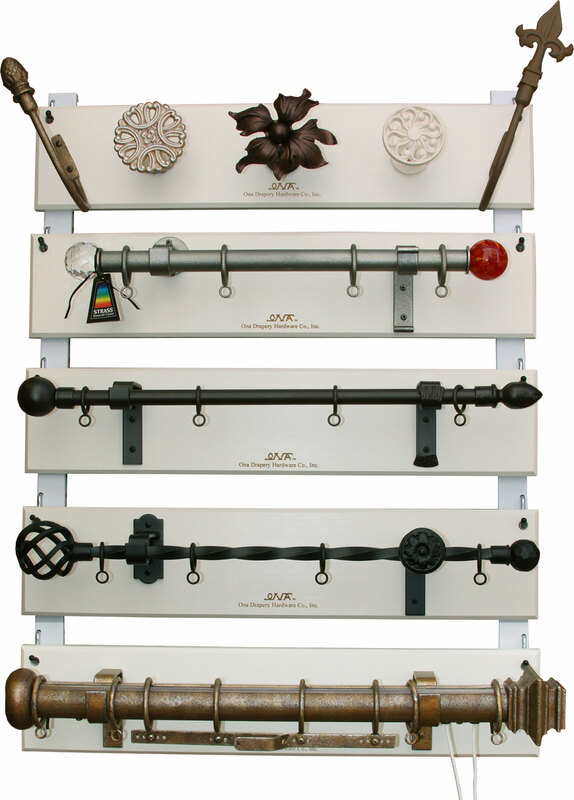 Order any of our hardware for display in your showroom at a discount. All showroom sample orders require prior approval to receive additional discounting. Contact us to discuss your needs. 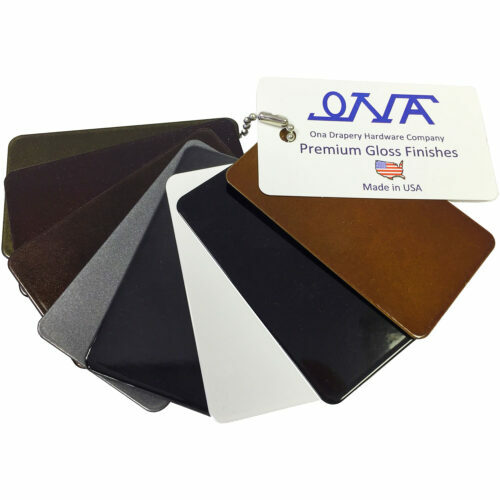 Increase your sales with our custom iron sample display boards. Five board display (shown below) measures 26" wide by 30" tall and features our more popular styles and finishes. Actual items displayed may vary from picture. Wall mount rack is included. 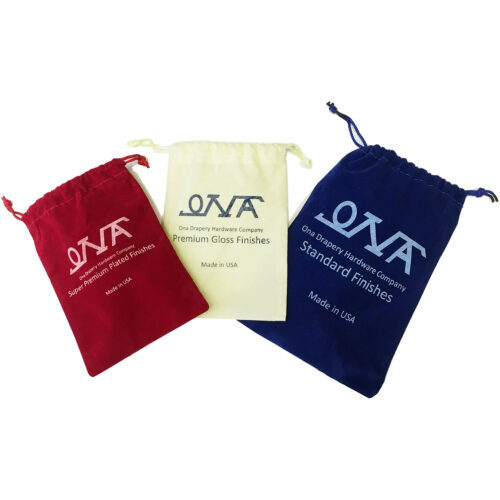 Custom displays to your specifications are available upon request and subject to additional charges.